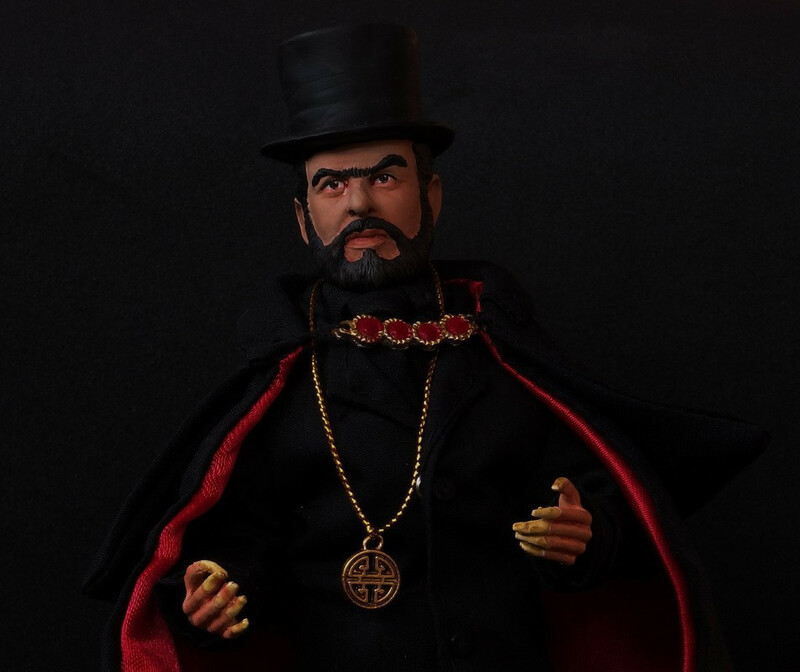 Unholy undertaker, evil philosopher, denizen of dreams and hallucinations...Coffin Joe, with his trademark top hat, black cape and talon-like fingernails, is a horror icon in his native Brazil. 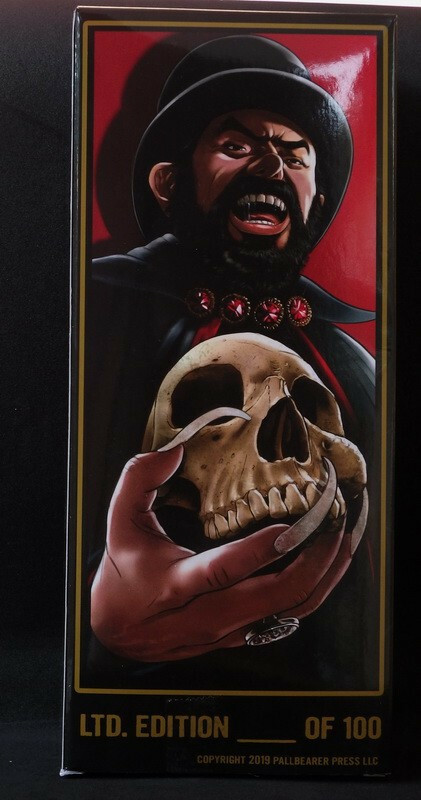 Revered as the national boogeyman, Coffin Joe has been immortalized in films, TV shows, radio programs, comic books and popular songs. 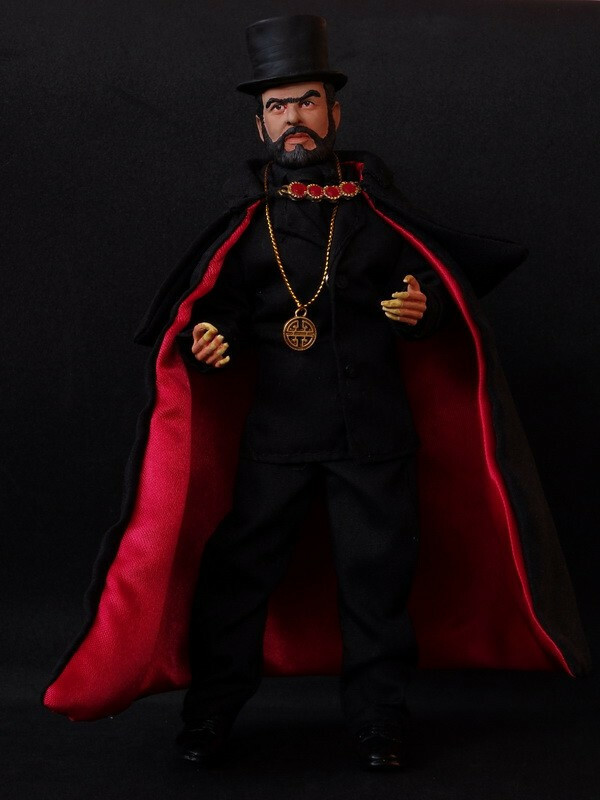 He is the creation of writer-director-star Jose Mojica Marins whose perversely original and strangely personal filmmaking style has been compared to an unholy blend of Mario Bava, Luis Bunuel and Russ Meyer. 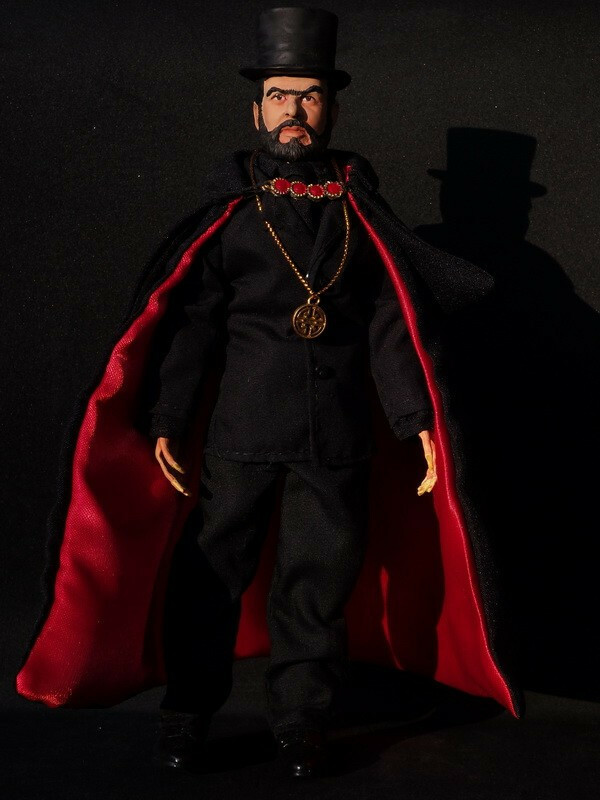 Distinctive Dummies are proud to announce this fully authorised piece for Pallbearer Press. 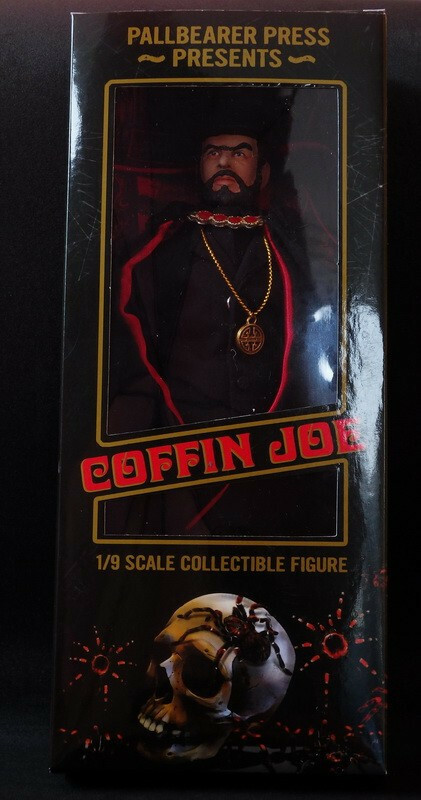 We are proud to present the Coffin Joe 8" Megostyle figure.